Professor Stephen Morley, our friend and colleague, died peacefully on 28 April at St Gemma’s Hospice in Leeds. 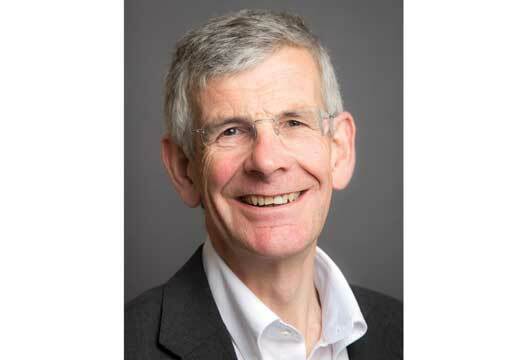 Stephen qualified as a clinical psychologist in 1975 and then completed a PhD at the institute of Psychiatry, where he subsequently worked as a lecturer in clinical psychology for five years. He then spent four years in the NHS in Cambridge as a senior clinical psychologist before moving to the University of Leeds to join the clinical psychology training programme in 1984, where he stayed. Beginning as a lecturer, in 1993 he managed the shift from the two-year MSc to the doctorate and became programme director, a role he held for 21 years. He was awarded a personal chair in 1996, a feat his friend and mentor Monte Shapiro never quite managed. He had a huge impact on generations of trainees in Leeds, embodying in his style of leadership of the course a principle he credited to Paul Meehl: that what clinical psychologists need is a hard head and a soft heart, and to beware of getting them the wrong way round! It’s difficult to capture all of his achievements in a few paragraphs. In the 1980s he was the Chief Examiner for the BPS diploma for in-service training programmes, then chair of the examination board and the committee for the scrutiny of overseas applicants. He was editor of the British Journal of Clinical Psychology and for several years Chair of the BPS Journals Committee. He was section editor for the European Journal of Pain, and on various editorial boards, including the Journal of Pain. He was also Editor, Cochrane PaPaS Group (Pain and Palliative Care). He was external examiner for several DClin programmes. He supervised a very large number of trainees in their research, inspiring many to a career in research themselves. He published a huge number of peer-reviewed papers, many of which have become textbook examples of applied methodologies. Stephen was quite simply an outstanding scientist. He is best known for his work on pain, which received international recognition in his lifetime, most notably in 2016 from his being awarded honorary membership of the International Association for the Study of Pain, a rare honour. The citation he received noted his ‘exceptional dedication to mentoring health professionals in the psychology of pain and his commitment to advancing methodologies to enhance rigour and quality of research in psychological treatments for pain’. This reference to mentoring seems particularly apt – since news of Stephen’s death has spread we have received so many messages citing examples of Stephen giving his time to help others, often junior colleagues, and never with any expectation of receiving anything back. He was a wonderfully supportive colleague and friend. The reference in the citation to advancing methodologies reflects another of Stephen’s legacies: his deep understanding of research methods and his desire to improve practice. In this, he took the baton passed by Monte Shapiro and became widely recognised as one of the world’s experts on single-case designs in clinical psychology, on which topic he had been finishing a book as he was taken seriously ill.
After his death, we came across a batch of glowing references for him from when he applied for that first job at Leeds in 1984. The final paragraph stands out. It says that the writer has been ‘unable to identify any flaws in his personality’, with which we concur. It concludes with ‘your gain will be our loss’. Stephen was a private man, clearly devoted to his family and proud of his children. He was passionate about music and birds – he apparently had a tough time choosing between zoology and psychology when applying for his undergraduate degree. Thankfully he chose psychology. Their loss was our gain. He is survived by his wife Alison, his children Peter and Clare, and his grandchildren Gabriel and Polina. There is a JustGiving page in Stephen’s memory for St George’s Crypt, a charity for homeless, disadvantaged and vulnerable people in Leeds.